Bangladesh (Mission Network News) — The United States Commission on International Religious Freedom released their 2017 annual report last week. The report described religious freedom violations in 37 countries, and made recommendations for the U.S. government to address them. 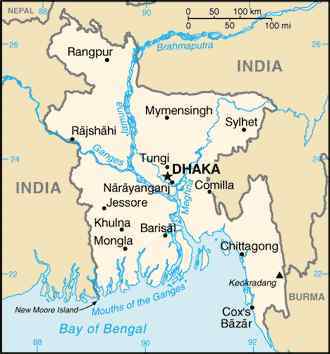 Bangladesh, a 90 percent Muslim-majority nation, was included in the report. Since the nation’s general elections 2014, Bangladesh has seen an increase in extremist activity against religious minorities, including from ISIS and Jamaatul Mujahedin Bangladesh (JMB). There’s also the widespread practice of ‘land-grabbing’ by government officials targeting minorities.